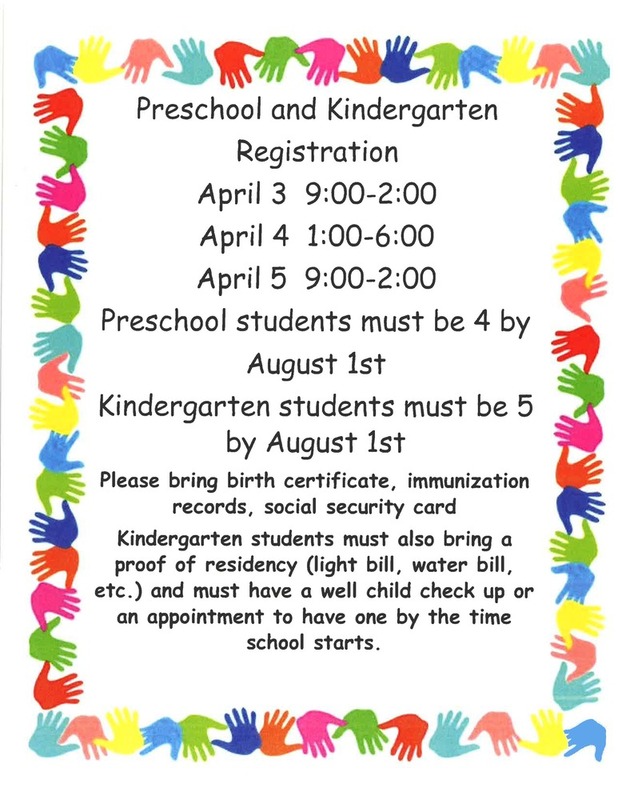 Preschool students must be 4 by August 1st. Kindergarten students must be 5 by August 1st. Kindergarten students must also bring a proof of residency (light bill, water bill, etc...) and must have a well child check up or an appointment to have one by the time school starts.